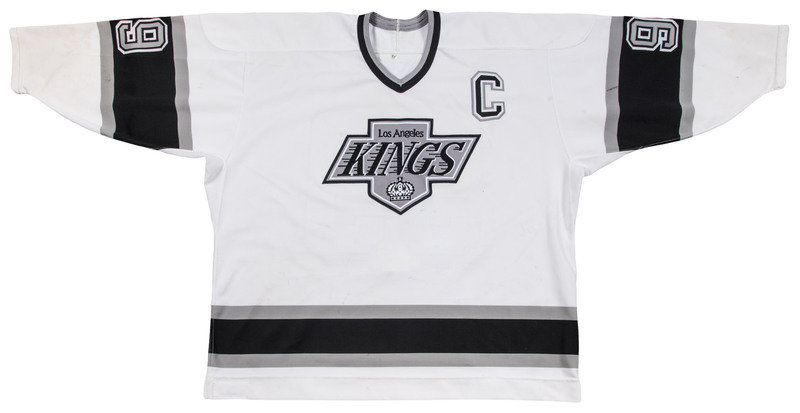 Wayne Gretzky wore this white Los Angeles Kings home jersey during the 1995-96 NHL season. Gretzky, who joined the Kings in a blockbuster 1988 trade, played 62 games with the Kings in 1995-96 before a late season deal sent him to the St. Louis Blues. “The Great One” scored 15 goals and dished 66 assists in his time with the Kings, finishing the year with 23 goals, 79 assists, and 102 points after playing an additional 18 games with the Blues. Gretzky played eight and a half years in Los Angeles, and his presence there helped to legitimize and revitalize the hockey scene on the West Coast. The lefty center played three more seasons in the NHL after the 1995-96 campaign and was inducted into the Hockey Hall of Fame immediately after his retirement as a player. This white Kings jersey has large Kings logo patch and a black, white, and gray tackle twill captain’s “C” patch sewn on the chest. 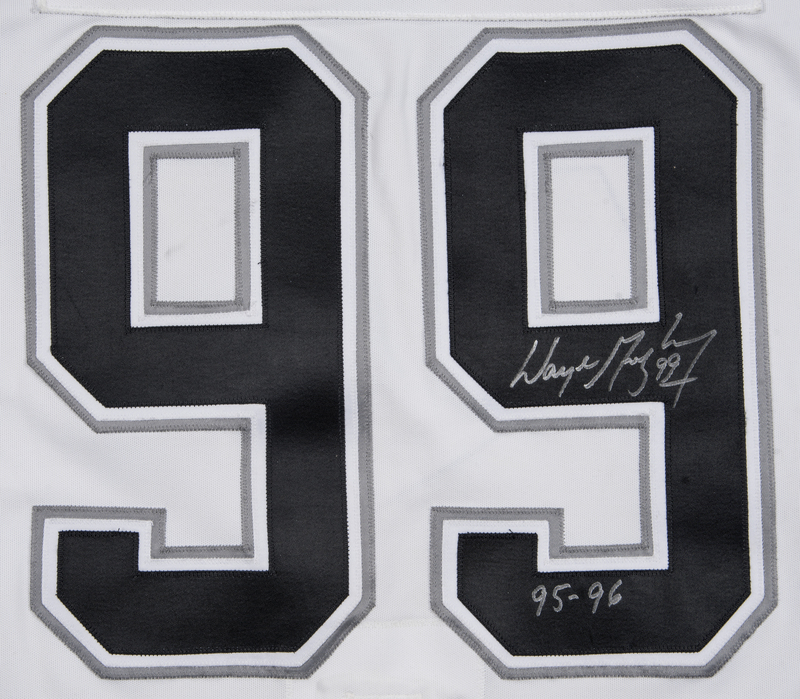 Gretzky’s number “99”, retired league-wide, is sewn on the back of the jersey in black, white, and gray tackle twill and on the sleeves in gray, black, and white tackle twill. 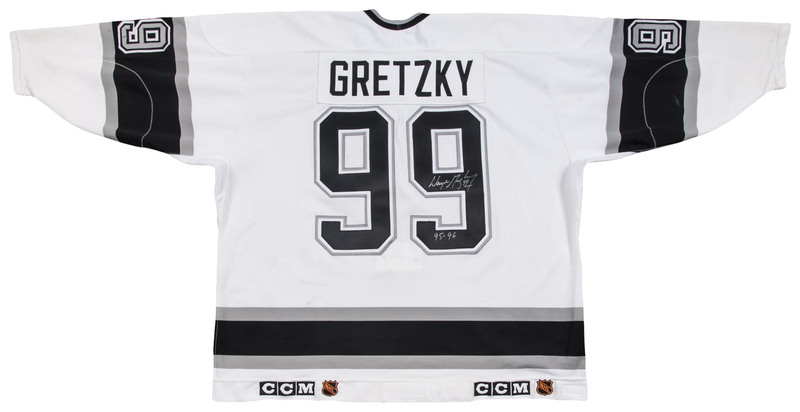 “GRETZKY” is sewn across the back shoulders in black tackle twill over a matching white nameplate. 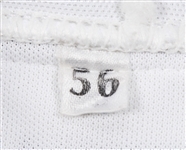 The sleeves and tail of this jersey are accented with a gray-black-gray band. 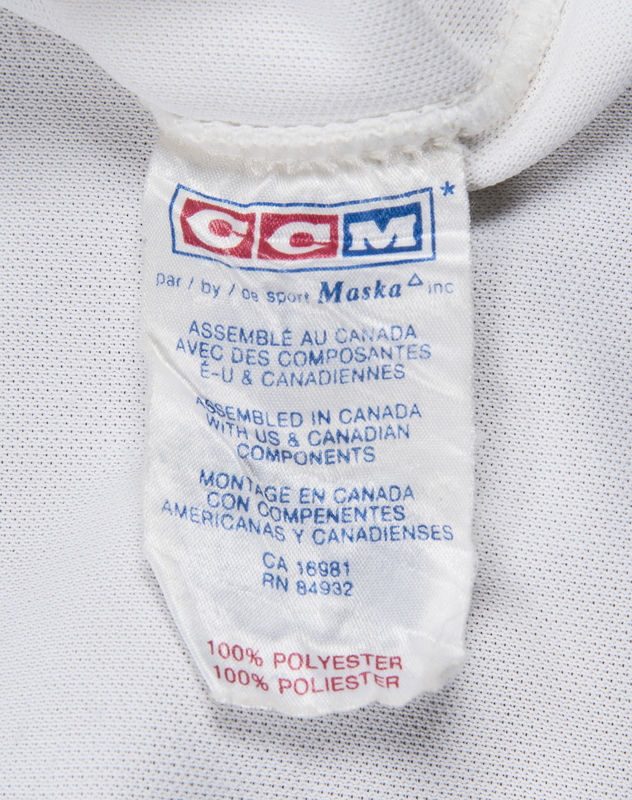 “CCM” and a NHL logo are each sewn twice on the back tail of this jersey. 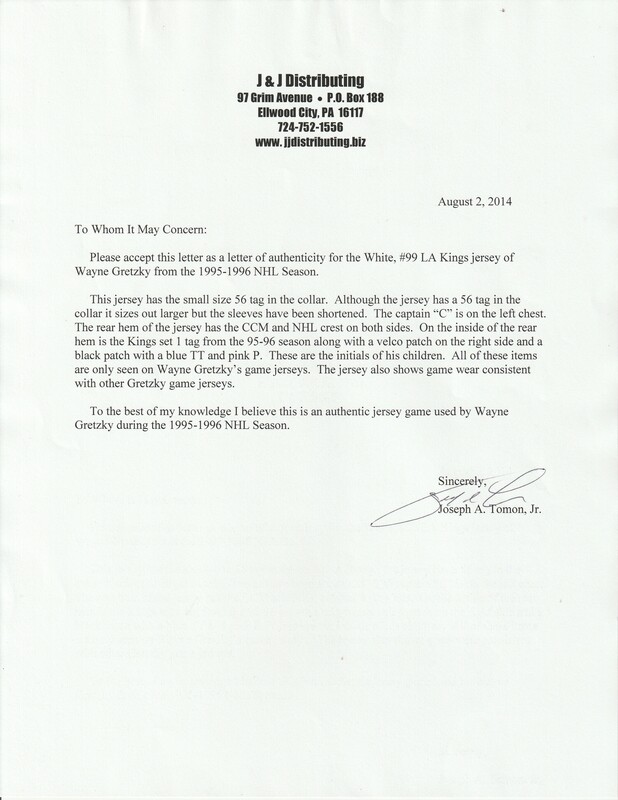 A Kings “95-96 Set 1” tag is sewn on the back inside tail. 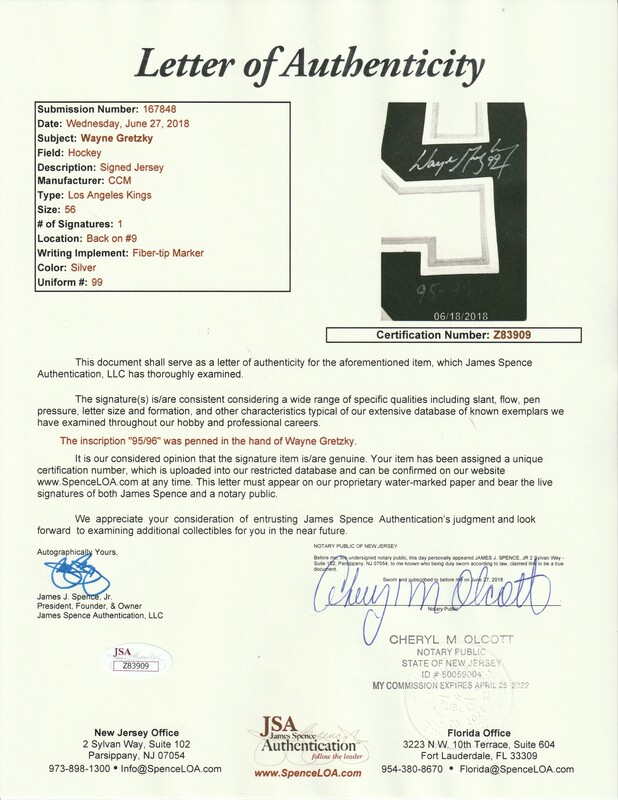 A patch with the initials of Gretzky’s embroidered in pink and blue letters is sewn on the inside tail. 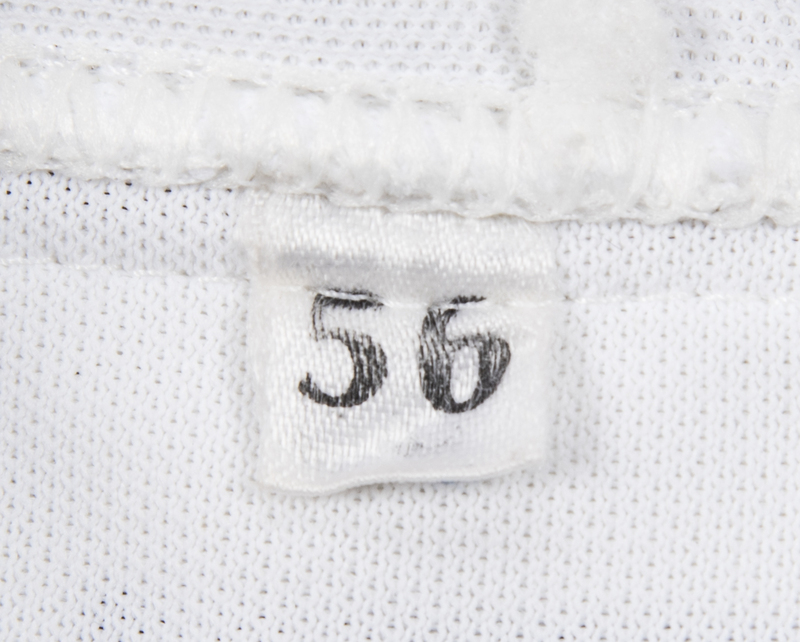 A size “56” flag is present in the back inside collar. The fight strap has been cut out of this jersey. 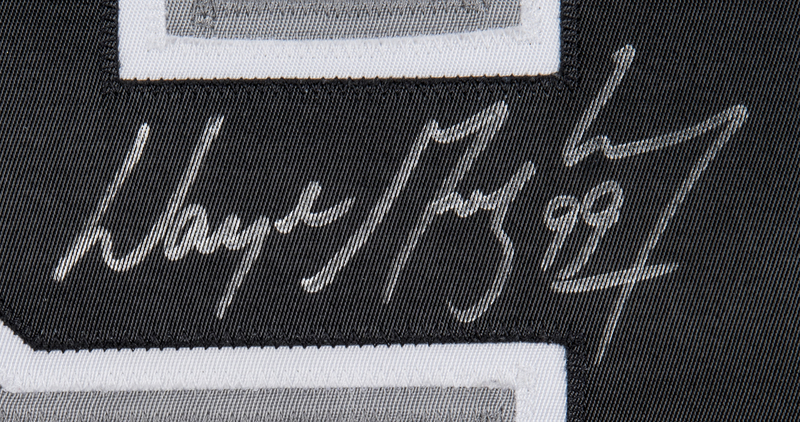 Gretzky has signed the second “9” digit on the back of this jersey in silver marker, inscribing “95-96” below his signature. 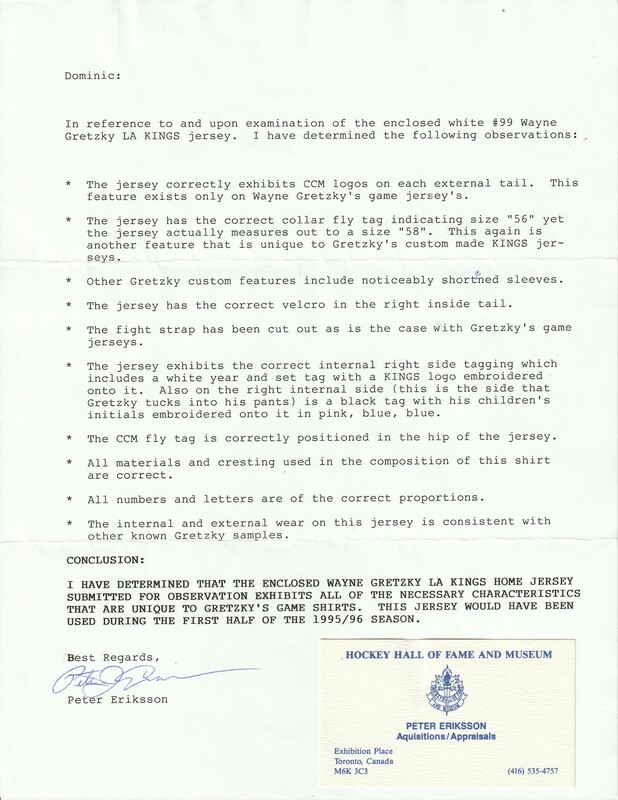 This jersey comes with a LOA from JSA for the signature, and LOAs from the Hockey Hall of Fame and J&J Distributing for game use. Please note that Wayne Gretzky game used jerseys are difficult to authenticate and different authenticators have different opinions so this jersey is being sold "as-is" with the authentication presented.